While most of us use a shoe caddy to store shoes, it turns out that it can be used for a variety of purposes. 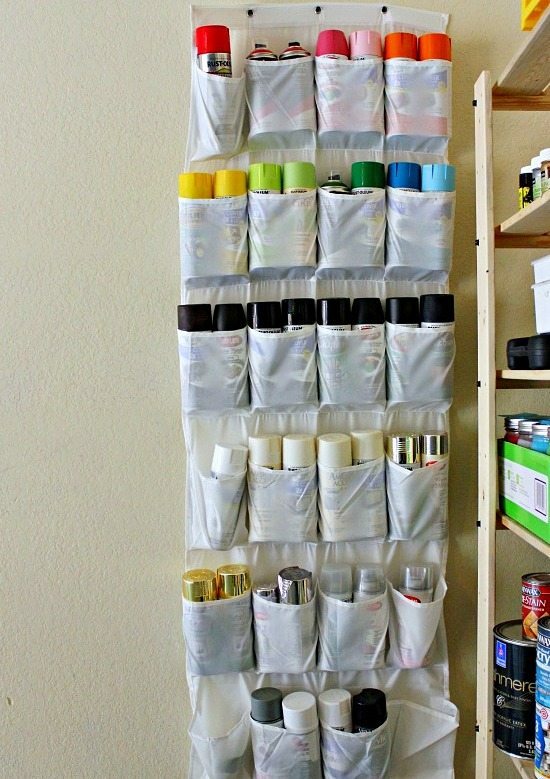 It’s a great tool to save space around the house and stay organized! 1. 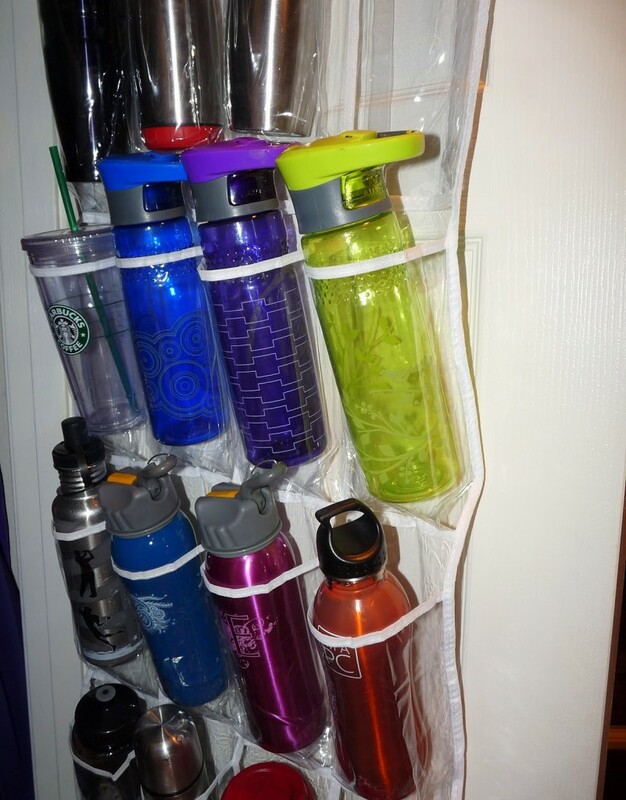 Water bottles taking up too much space? Use a shoe caddy to create an herb garden. Label each specific section of the caddy with the name of an herb, and create this fun garden in your home! See instructions here. 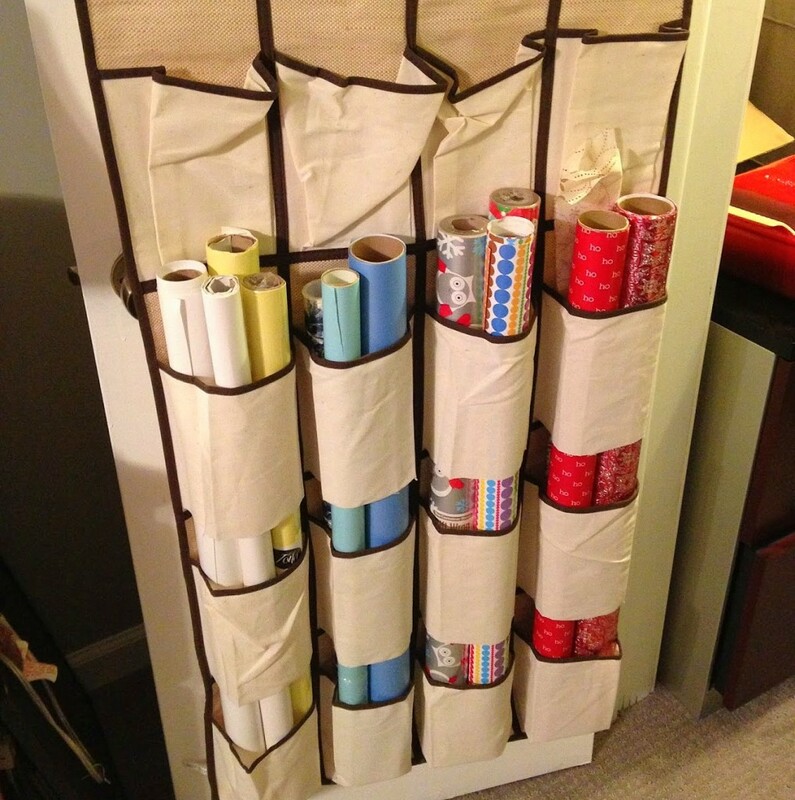 Cut the bottom two rows of pockets in a shoe caddy and store long, cylindrical objects such as gift wrap inside. 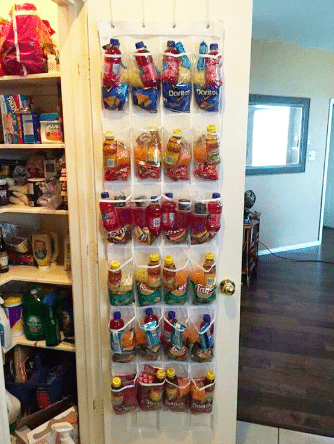 Rather than store shoes, store extra snacks inside. 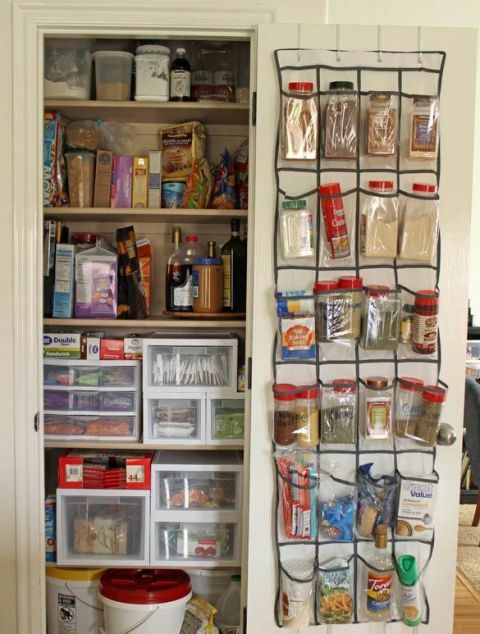 Free up a little space in your pantry by making use of the door space too. 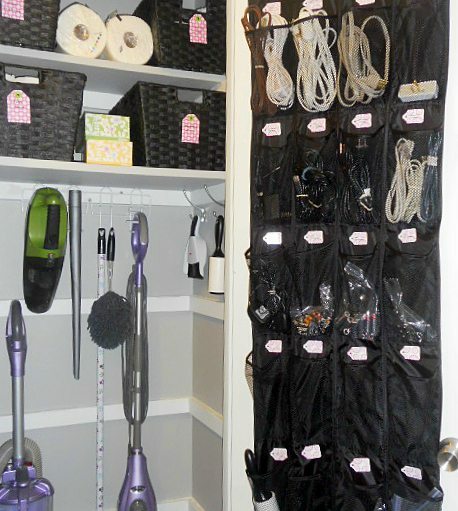 A hanging shoe caddy adds a lot of organization and space into a closet that is meant for office supplies. 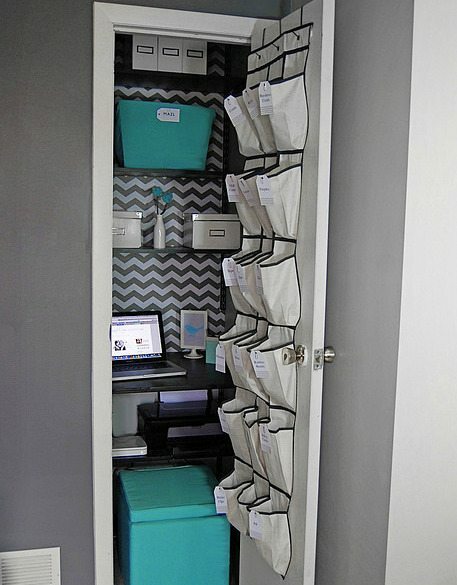 Click here to see how to create your own office closet. 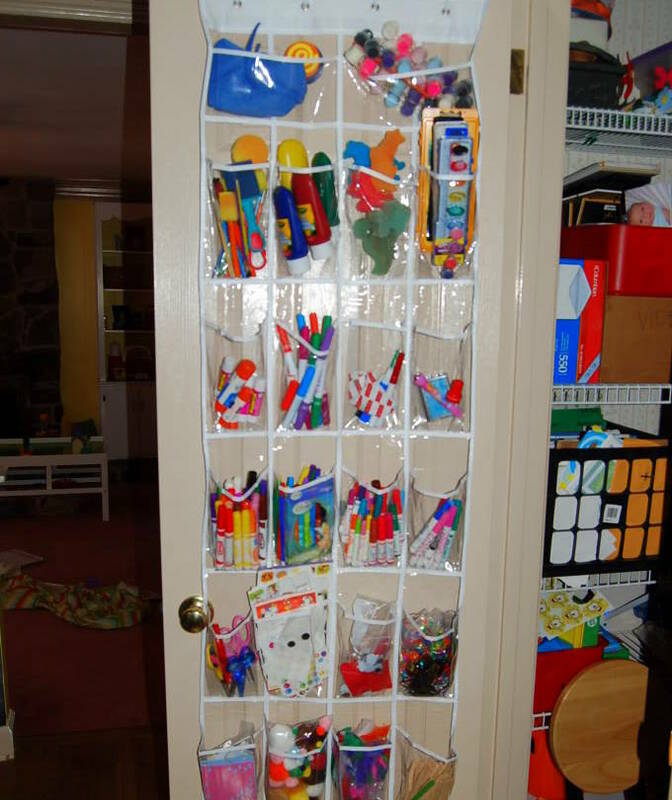 Markers, paint, and other children toys can be stored efficiently in a shoe caddy. 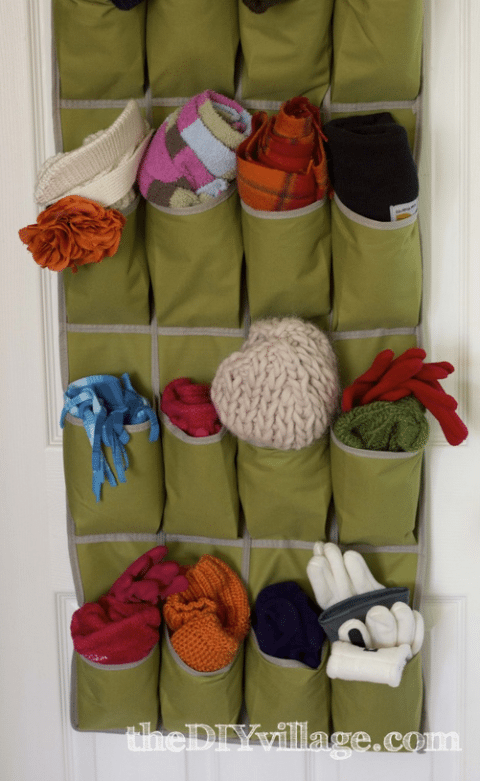 Organize your scarves with a shoe caddy. It’s really easy to see which scarf you need with all the options laid right in front of you! 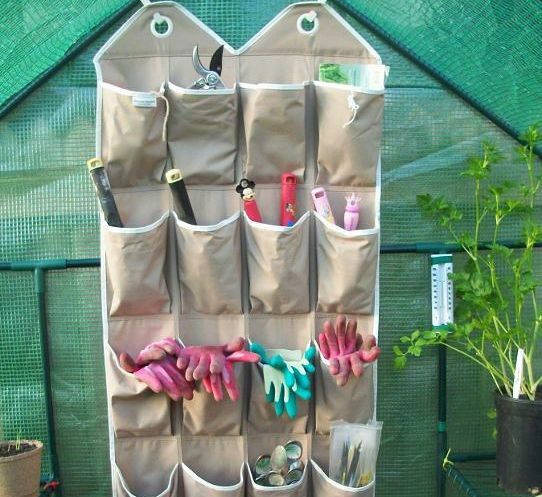 Garden tools can easily be stored in a shoe caddy. Store your undergarments in an easy-to-find location. 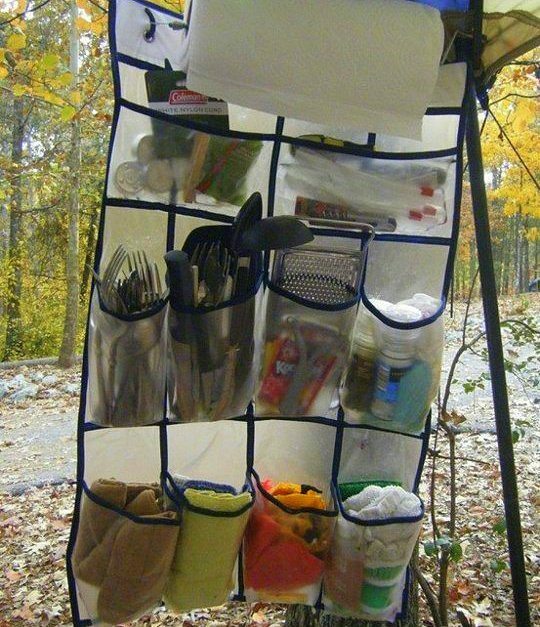 Camping supplies are easy to reach and organize when you take a shoe caddy camping with you. Find all the medicine and first aid supplies you need, easily and quickly. Put your wipes, Windex, and other cleaning tools in a shoe caddy. If you love spray paint, then this is perfect for you. Instead of throwing cords and chargers together in a box where they can get tangled, store them in a shoe caddy. 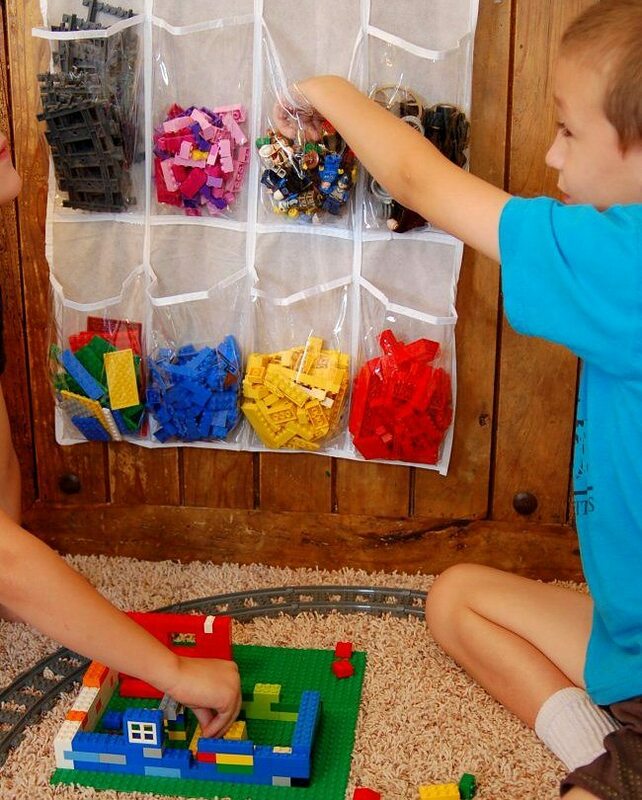 Keep all your children’s Legos in one neat place. Now you won’t have to step on one of them by accident! The bathroom sink is cluttered with many items, so create more space by hanging a shoe caddy in the bathroom. 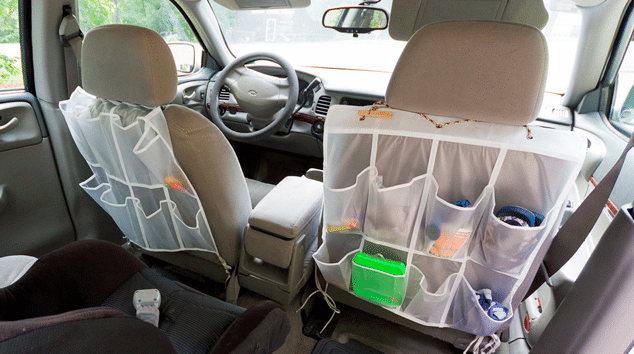 Store extra supplies in the car with a shoe caddy. This is perfect for children’s toys and other entertainment devices. 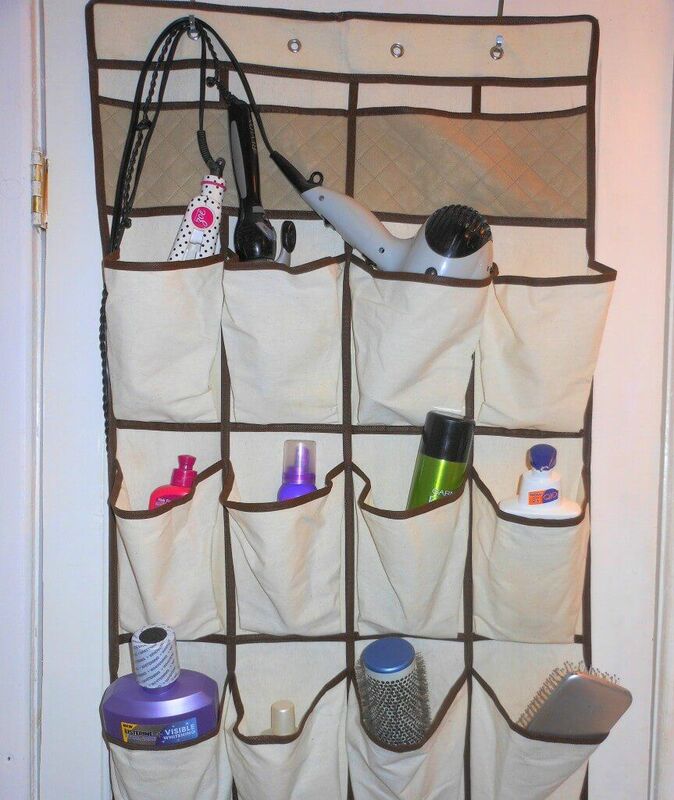 Hang a shoe caddy on the back of your bathroom door and use it as a hanging solutino for all your cosmetics. It can store your nail polish, various lipsticks, and more! A shoe caddy is a great way to organize your kids’ school supplies. Don’t let these supplies take over your child’s desk. 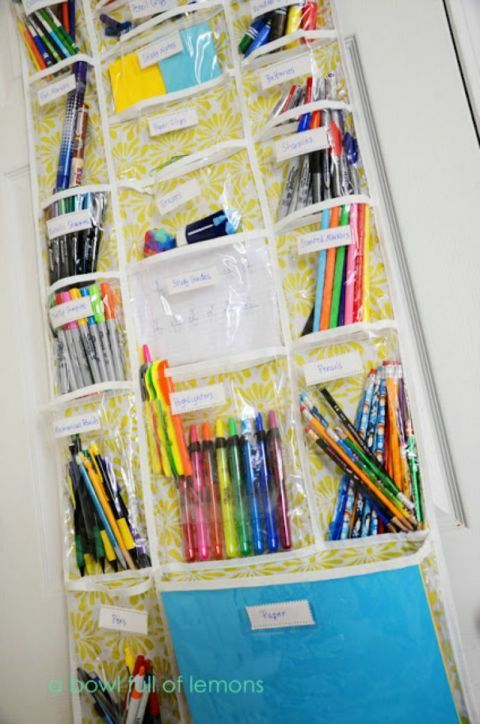 Instead, give them a neat way to stash and store all their crayons, colored pencils, markers, and more. 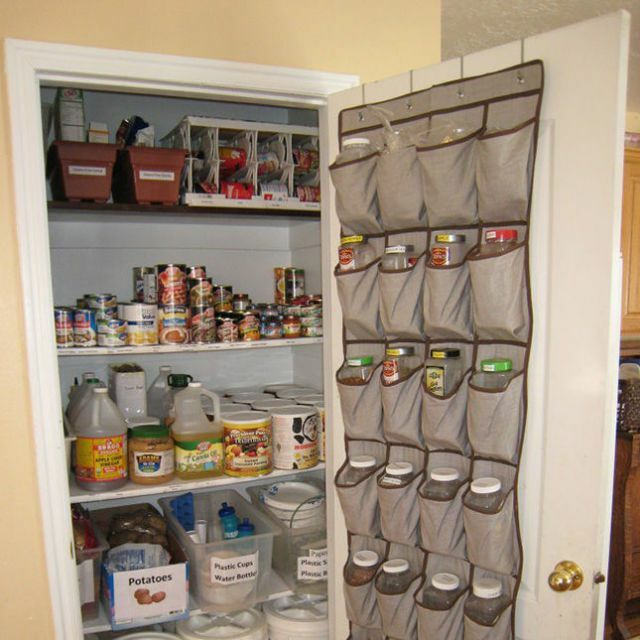 Keep your pantry organized and orderly with a shoe caddy. This also puts a lot items easily within reach! Is your baby’s wardrobe getting out of control? 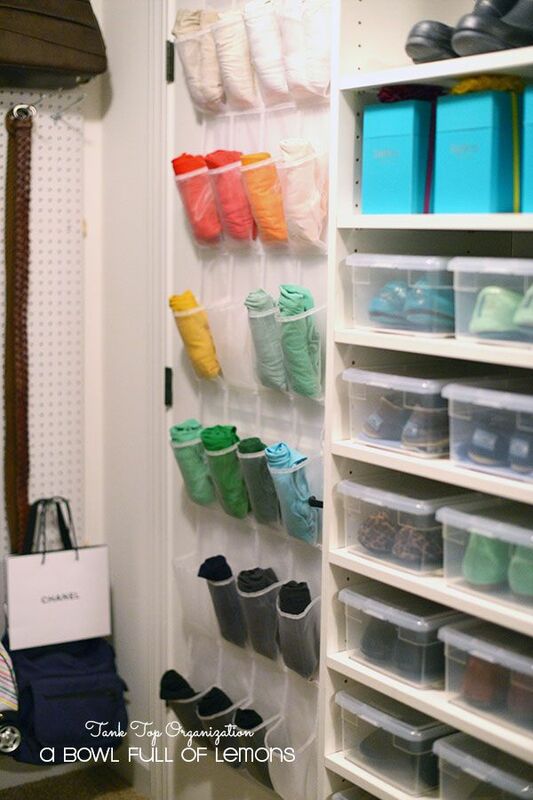 Keep it nice and tidy with a shoe caddy! 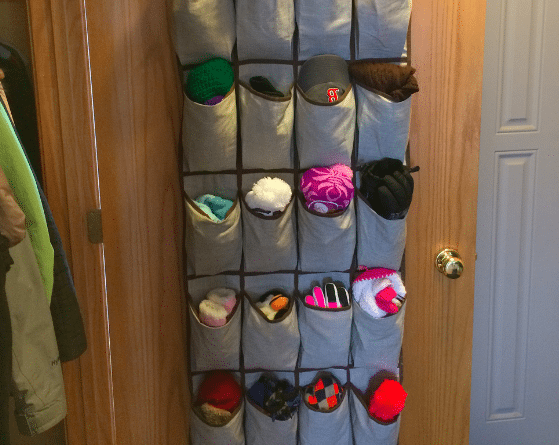 A shoe caddy is a really neat place to stash a onesie with ease! 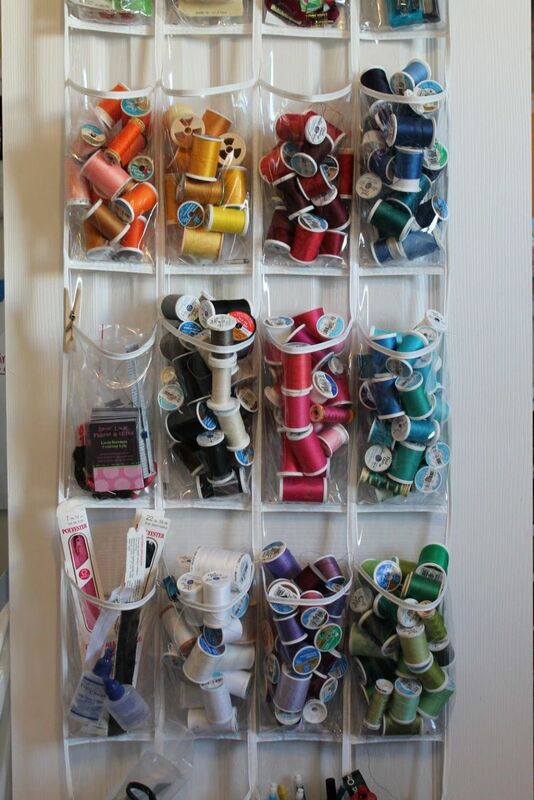 Stop hunting through the closet for thread or sewing supplies. 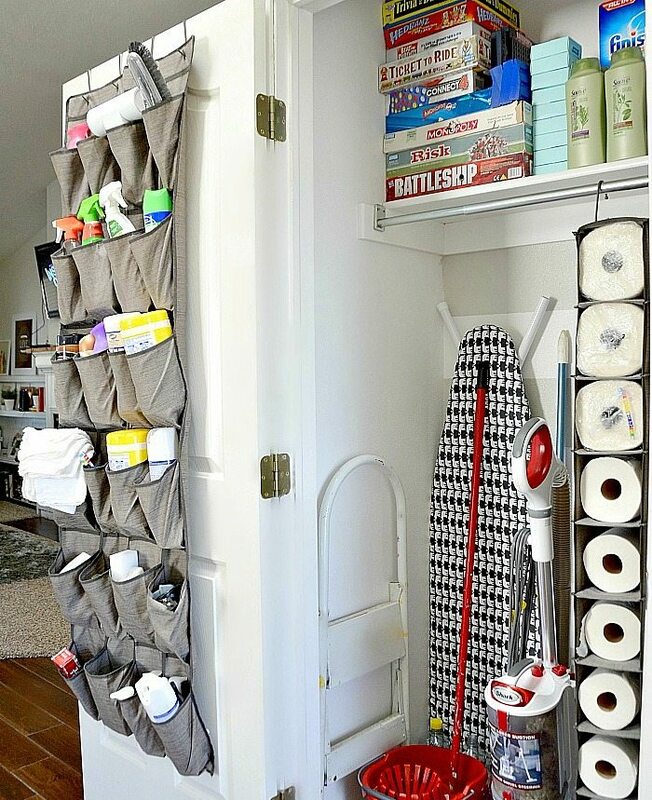 With a shoe caddy, everything is readily available and easy to find! Your spice shelf does not need to be cluttered anymore. We’ve all been there – trying our best to find the right spice to use but having a difficult type identifying it out of the 20-30 spice bottles we have. This solves that problem. 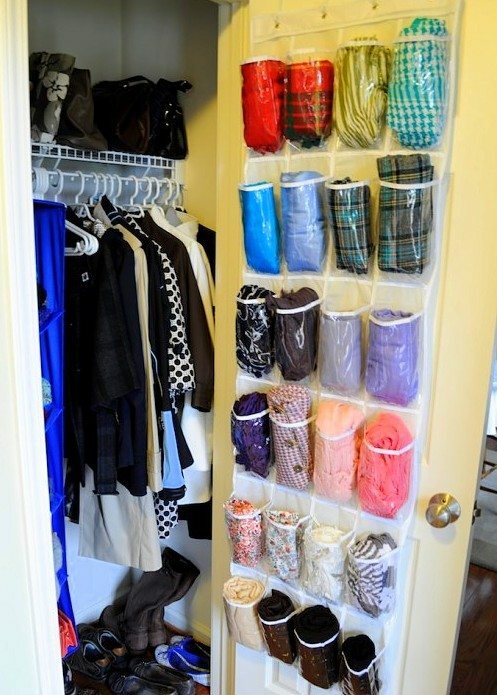 A store caddy can serve as a closet organizer that makes clothes that you use often (like workout tank tops!) readily accessible. 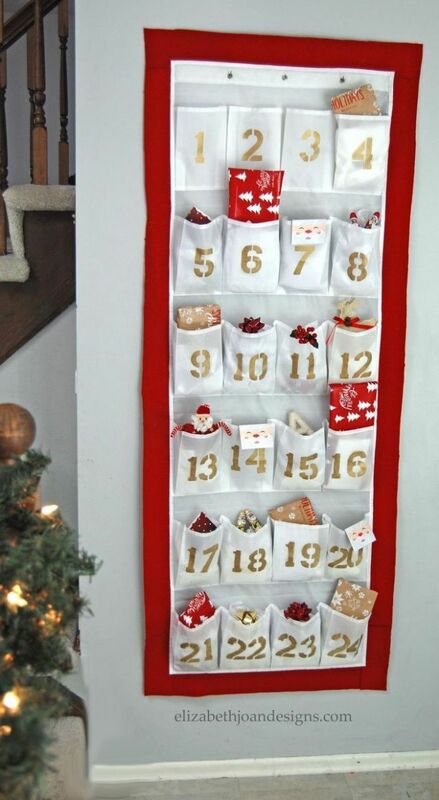 A shoe caddy can be a great countdown calendar for the holidays! Keep this close to your front door, and you’ll always be ready whenever the weather takes a turn for the worse. Mittens, gloves, and beanies all fit! 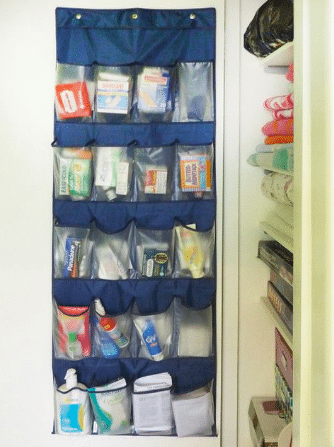 If there isn’t a cabinet behind your mirror – or if it is too full of daily-use items – you can always make a medicine cabinet out of a shoe caddy. Fill each pocket with your medication, bandages, thermometer, and anything else you might need. While it is nice to have nails that match your outfit every day, it can be annoying to sort through so many colors. 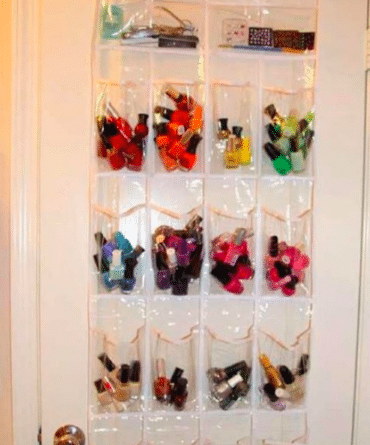 Organize your nail polish in a shoe caddy. 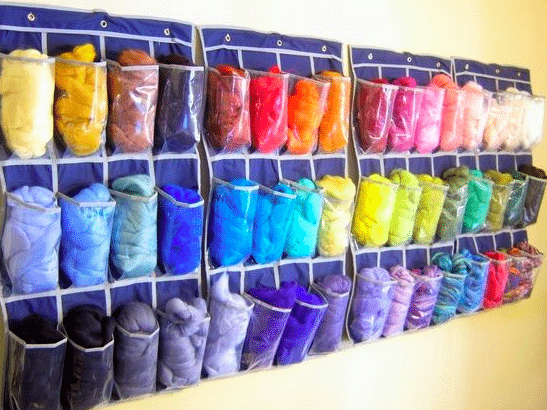 It will make finding your new color way easier. Mornings can be a little hectic, especially if you have little ones. 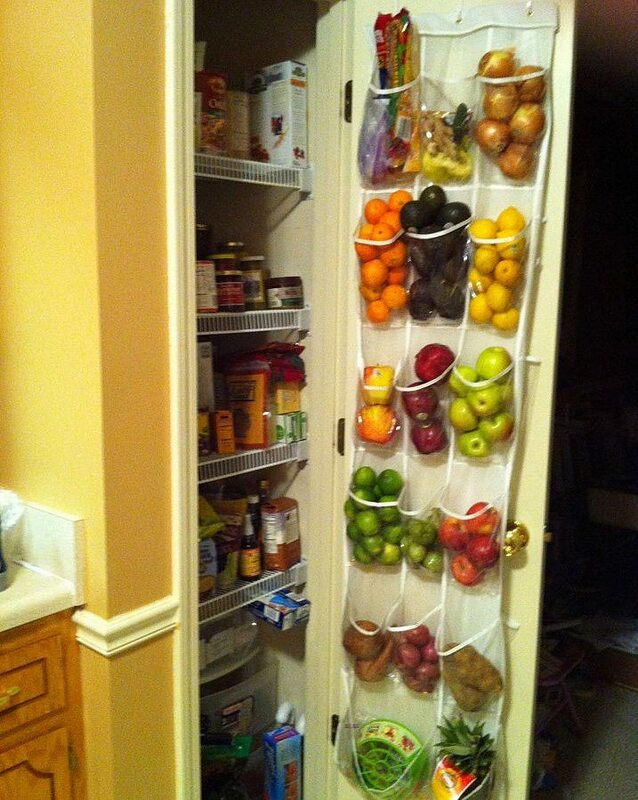 Fill the slots with food that you and your family can grab on your way out the door. You can make it a healthy breakfast spot by filling it with bananas, power bars, and bags of granola. 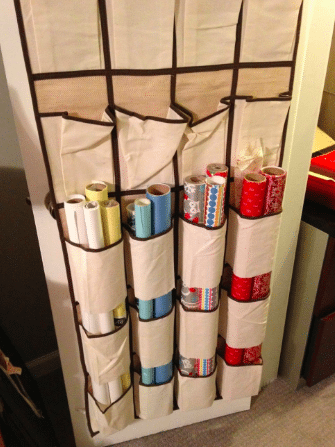 Each slot is just the right size for your roll of yarn. How perfect is that? Transform your door to suit your creative needs. 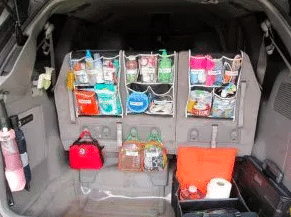 Cut a shoe caddy in half and hang it on the back of your front seat, or turn your whole trunk into an organization extravaganza. Put your gear for the season front and center for easy access. You can change it up with each new season. In winter the caddy might hold mittens and gloves, while in the summer it might hold sunscreen and bug spray. 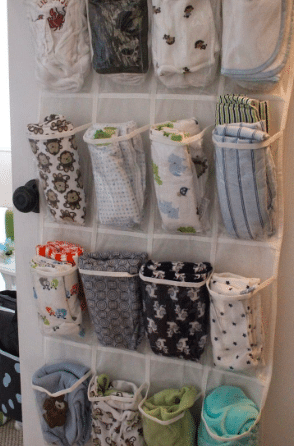 Stick your baby’s extra blankets and clothing in the closet with a shoe caddy. 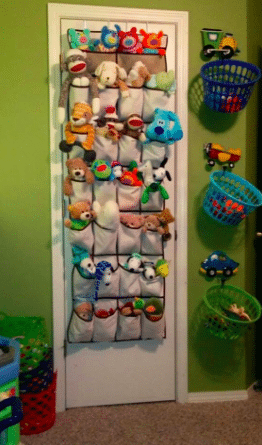 It can be easy to rack up on TONS of materials for babies, especially when they are in their growing phase. 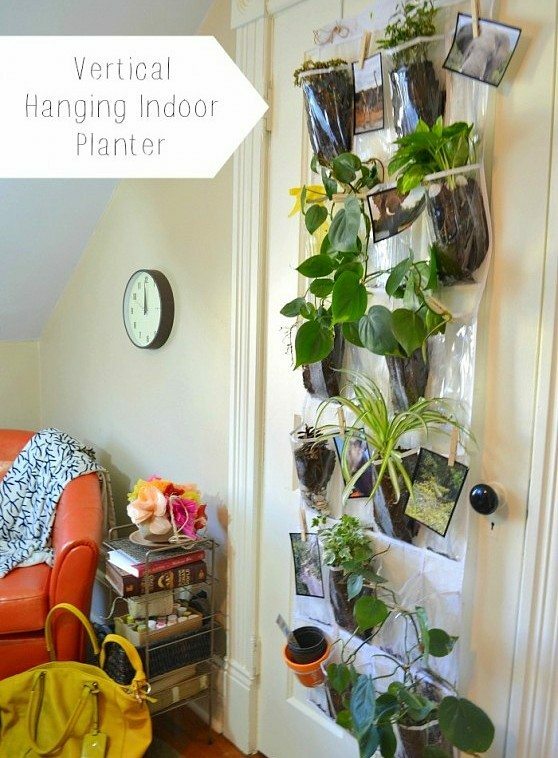 Free up a little extra room space with this clever tip. Whether you are organizing toys for your children or your pets, they will fit perfectly into a shoe caddy. As your little one looks up at the stuffed animals, they will all be looking back at him. 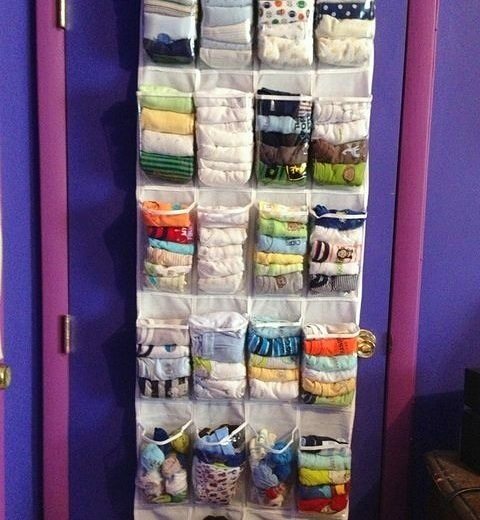 What a cute way to get organized! Wrapping paper is so easy to fold and tear. Keep your paper safe by placing it in a shoe caddy. Simply cut out the bottom of a few pockets that are stacked vertically, and slide in the wrapping paper. 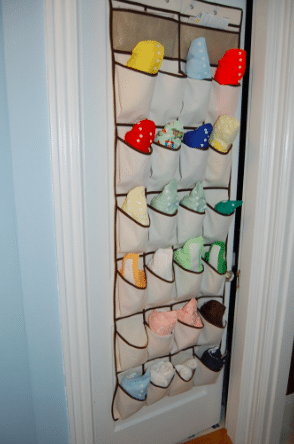 Keep your child’s dolls in one place with a shoe caddy. Place a doll in each pocket, and they will be ready for their next play session. 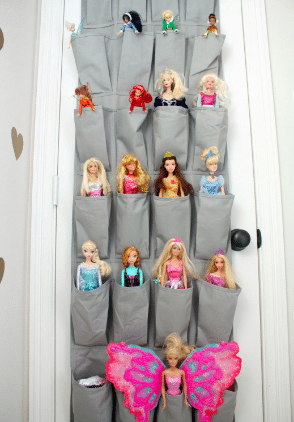 You might want to store your kid’s favorite dolls on the bottom rows. Cut a shoe caddy in half and hang it on the back of your seat. 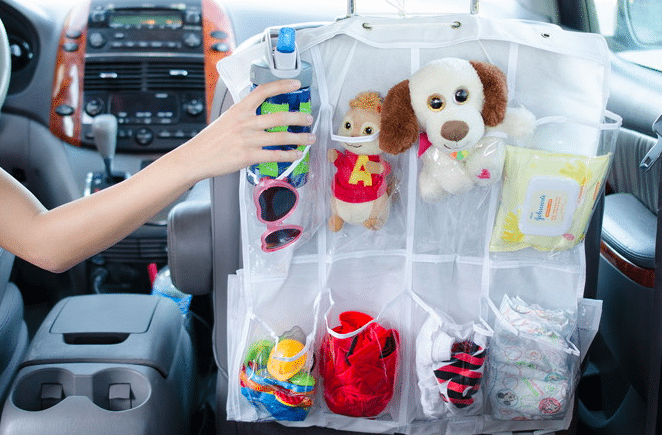 Fill it with stuffed animals, toys, snacks, and other items to keep your kid occupied. Long car rides will be SO much easier. We all like to stock up on items like lotion and toothpaste. 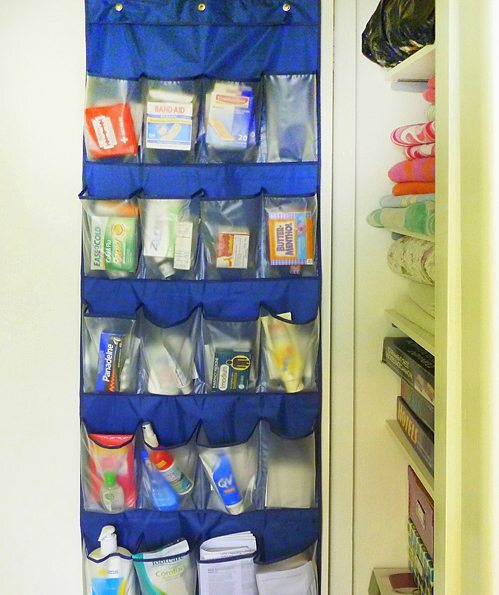 Keep your extra toiletries in a shoe caddy so they are out of the way. This hack is especially great if you have a limited amount of space under your sink.